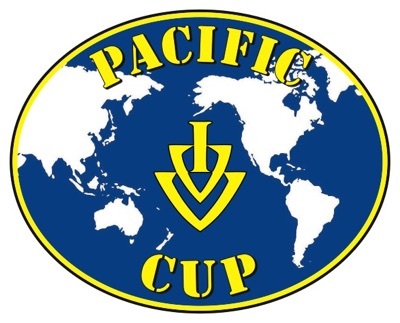 The Pacific Cup encourages participation in events which are organized by National Member countries, Direct Member countries, or other countries where travel / tour companies organize IVV-sponsored walking events from time to time: USA, Canada, Japan, Korea, China, Australia, New Zealand, Saipan, Thailand, Taiwan, New Caledonia and Indonesia. Awards (T-shirt, patch, and certificate) will be given to those who have stamps from 6 of these countries in their book. No time limit has been set for the program to finish. Please be sure to include your complete mailing address with your request. Payment can be made in either U.S. dollars ($25.00) or in Euros (20,50€) by money transfer to the account stated at date of invoice.